Luke Cage‘s last season was something of a mixed bag. While the first half was amazing, the second half of the season dragged once Cottonmouth was killed off and replaced by Diamondback as the primary villain. It was also hard not to be worried about how the second season would turn out between the problematic first season of Defenders and Jessica Jones season 2. But this season has leveled up tremendously. It has a far tighter story than most of the Netflix Marvel shows to date. It also covers an impressive range of topics from toxic masculinity, to the clash of differing cultures, to police power, to domestic abuse, and religion. All of this is played out and held together a fantastic cast from the returning cast of season 1 to new arrivals such as the (sadly departed) Reg E. Cathey as James Lucas and Mustafa Shakir as a truly terrifying Bushmaster. What makes this season immediately easy to separate from the first one is the plot. Last season did fantastically in establishing itself in its first half of episodes with the threat of Cottonmouth. But once it hit that second half and killed him off, it became a very sketchy show, with poor pacing, and especially with having introduced a scattershot villain like Diamondback in the show’s second half. The second season has a much stronger plot, a better idea of what it wants to be, and everything important to it is introduced early on as opposed to being sprung on the audience late in the game. The other major change is in the character of Luke Cage. He’s less of a paragon for respectability politics this time around and someone with more well-rounded edges both in his discomfort with his role as “Harlem’s Hero,” his extremely broken relationship with his less-than supportive father, Reverend James Lucas, and his visceral need to protect everyone in Harlem. Mike Colter gets to play a very understandably different and yet evolved version of his character of the last few years. 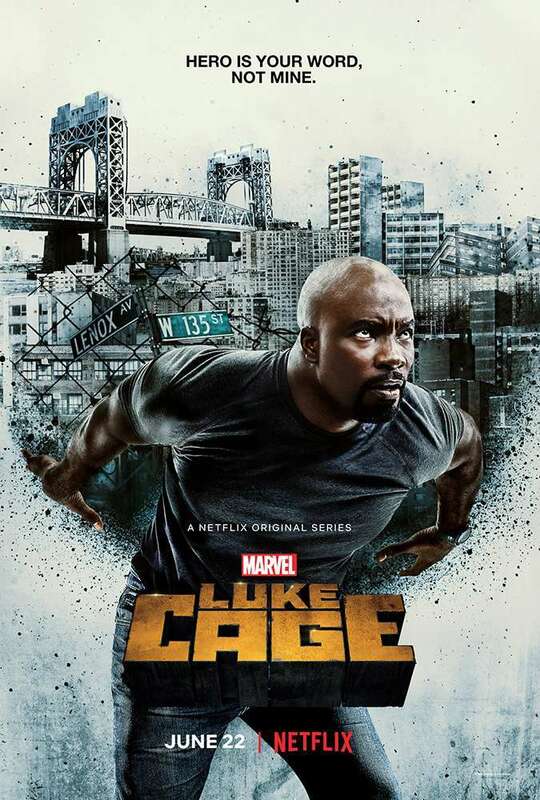 While the Luke Cage of the first season was far more collected, the one of this season is weary of the toll the fight has taken on himself and on the people around him. Letting the unbreakable man bend and break emotionally is far more powerful than magic bullets doing the trick. The same goes for Mariah Dillard in this season. Alfre Woodard, as usual, is acting rings around most of the cast here and covers as wide an emotional range as ever. While the Mariah of last season was a woman who evolved from someone trying to be an upstanding citizen who was suddenly dragged back into a world she wanted to leave, the Mariah of this season is someone caught between an identity crisis. Trapped between a name and history that she hates, as well as her desire to still be seen as a good woman by the world at large. Woodard plays the fraying mental state of Mariah well and it makes her extremely dangerous. Even in the face of someone as powerful like Luke Cage and other dangerous men like Shades or Bushmaster. Speaking of which: Bushmaster, as played by Mustafa Shakir, is a truly terrifying villain. A lot like what we had expected Diamondback to be, but not undermined by the myth being less than the reality. Shakir plays Bushmaster as a man who could have been better undermined by his anger and bad history. He also provides a single-minded antidote to the clash of wills between Mike Colter and Alfre Woodard’s characters by injecting a new variable between them. It’s also worth noting that the late Reg E. Cathey does a tremendous job as James Lucas. Cathey takes a character who was little more than the boogeyman last season and infuses him with a ton of heart, as well as a good reason for being something of an absentee during Luke’s worst times. As a last role, Cathey really brings it all home. What’s also heartening this season is the wide variety of diverse ideas and voices in this season. As I said above: there’s a wide variety of topics covered this season. However, the voices speaking this season have more of a female influence both in the story with the introduction of more female recurring characters, as well as on the creative side. Half of the directors in this season are women and the care shown for topics important to women in that regard are handled with a sensitivity I wasn’t expecting outside of perhaps Jessica Jones. This is a season that handles itself as a reaction to the 2016 election, gentrification, white supremacy, Black Lives Matter, and so much more. As a TV show that handles crime drama and superhero action, I’m pretty impressed. The creators of this show put a lot of effort into making a much stronger season of television here. But as a work of art communicating a point, it excels. This new season of Luke Cage is probably one of the strongest shows Marvel and Netflix have produced for this line. If you’re looking for a show that’s both exciting and carries a point of view relevant to what’s going on right now, you’re in for a real treat.